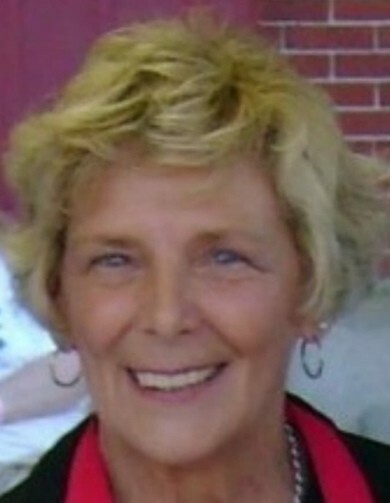 Sandra Lee (Joy) Richards, 77, of Portland, ME and Royal Palm Beach, FL passed away peacefully at her daughter’s home in Yarmouth on September 7, 2018 after a courageous six-year battle with brain cancer. She was born in Portland on July 21, 1941 to Wilfred L. and Eleanor (Richio) Joy and grew up in East Deering. She graduated from Cathedral High School in 1959 and Mercy School of Nursing in 1962. She married the love of her life, Henry H. Richards, Jr., on February 16, 1963 and together they raised five children. Sandra was a devoted wife, mother, and nurse. She began her career at Mercy Hospital in Labor and Delivery and then, after taking time off to raise her children, she returned to nursing at the former Osteopathic Hospital. Sandra was also an active gardener, knitter, seamstress, and baker who was always ready to help others in her family and at work. Simply being with family and friends brought Sandra great joy and hosting backyard summer cookouts poolside at their home in Portland was one of Sandra and Hank’s favorite things. She also enjoyed attending her children’s and grandchildren’s sporting events and activities and especially enjoyed making ornaments for each of them every Christmas. Sandra also looked forward to the annual Husbands’ and Wives’ Appreciation Weekend, a long-standing tradition she and Hank shared with their dear friends. Getting together each year with her “Mercy Girls” and attending their reunion was another event she cherished. In addition, Sandra, along with her beloved aunts and cousins, was an avid Italian Cookie baker for the annual St. Peter’s Italian Bazaar in Portland. In recent years, Sandra spent time with her sister and Florida friends enjoying various leisure activities, luncheons, and shopping excursions. As in Maine, simply being with family and friends brought her enormous joy. Sandra was predeceased by her parents, Wilfred and Eleanor (Richio) Joy, her in-laws, Henry and Dorothea (Hill) Richards Sr., her brother-in-law,Ronald McKenzie, her grandson, Damian Hagerty, and many cherished Richio family members. Sandra is survived by her husband of 55 years, Henry Richards, Jr., five children and 20 grandchildren. Survivors include daughter, Cynthia and her husband Michael Hagerty of Yarmouth, their children Maria, Michael Jr., Nolan, Maya, and Evangeline, another daughter, Mary and her husband, Frank Michaels of Royal Palm Beach, FL, their children Nicolas, Alexander, and Olivia, a son, Henry Richards III and his wife, Kathleen (Cady), their children, Henry IV, Philip, Annalise, and Julia, a third daughter, Joanna and her husband, Bryan Rosales of Buda, TX, their children, Ruben, Roman, Zianni, Destiny, and Joseph, and youngest daughter, Susan Sinker of Yarmouth and her children Lillian, Michael, and Trinity. Sandra is also survived by a brother, Wilfred Joy and his wife, Wendy of Yarmouth, a sister, Alicia McKenzie of Royal Palm Beach, FL, sister-in-law, Judy and her husband, Edward Lee, of Manchester, NH, as well as many, many relatives in greater Portland. The Richards want to extend heart felt thanks to the many friends and family for the loving support over the last several months. Special thanks too to Dr. Evans and Nurse Practitioner, Sarah at New England Cancer Specialists. Also dear thanks to Hospice of Southern Maine, especially Sandra’s nurse, Alli, and her home health aid, Alisha, who provided exceptional care over the last several weeks of Sandra’s life. Visiting hours will be on Thursday, September 13 from 5 pm to 8 pm at A.T. Hutchins Funeral Home, 660 Brighton Ave., Portland. A Mass of Christian Burial will be held Friday, September 14, at 10 am in Yarmouth at Sacred Heart Catholic Church followed by burial at Calvary Cemetery in South Portland.